When he started selling race car equipment 40 years ago, Chris Heitman never imagined that he’d have to learn which states charge sales tax for fireproof underwear. “Is it clothing? Is it specialized equipment? That’s the question,” he says. And since the answer isn’t always clear, he errs on the side of charging the tax—better to overcharge a customer than to face the wrath of the taxman, after all. 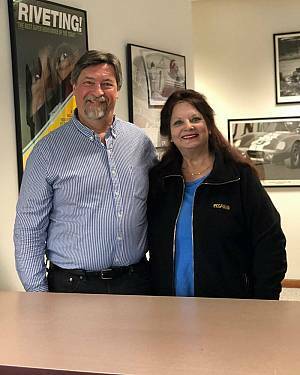 Heitman and his wife, Carla, have been running Pegasus Auto Racing Supplies since they founded the company back in 1980, out of a two-story building in New Berlin, Wisconsin. Until last year, that meant Heitman was responsible for collecting and paying sales taxes to exactly one place: the Wisconsin Department of Revenue. But thanks to an under-the-radar ruling from the U.S. Supreme Court in June, he’s now receiving letters, phone calls, and emails from revenue officials across the country, each wanting a piece of his business. The source of Heitman’s frustrations is Wayfair v. South Dakota, which allowed states to collect sales taxes from online businesses located beyond their borders. Many states view the Wayfair ruling as a potential tax revenue windfall in which the taxes are paid by non-residents who can’t vote against them. That’s why businesses like Heitman’s are now facing the chilling prospect of owing taxes in dozens, and possibly hundreds, of different jurisdictions—while being hounded by out-of-state tax collectors. As the 2019 tax season begins, states are ramping up efforts to squeeze extra revenue out of remote retailers like Heitman, putting an expensive new burden on businesses that have found broad customer bases online. The burden is particularly large in the five U.S. states that charge no sales tax, where entrepreneurs could now be charged with paying a tax they have never had to pay before, to a government over which they have no voice. And while Congress could clean up the Supreme Court’s mess, it’s far from certain that it will, writes Eric Boehm. Netanyahu’s Iran Nuke Show: Should We Believe Him? Who Owns The Fed?…Does It Even Matter?